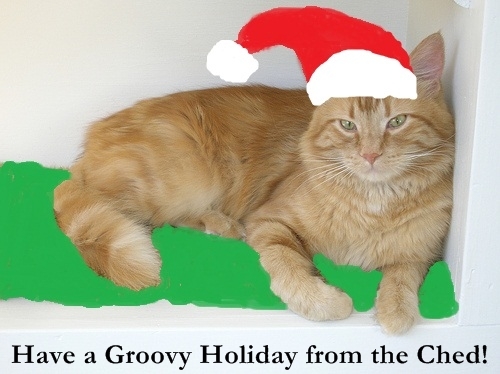 Wishing you a very lovely holiday, Merry Christmas, and a special headbonk for the Chedster from Artie. Mr. Cheddar is a great Santa’s helper, I love this photo. Hi Brenda, Hope you have a very Merry Christmas and a wonderful new year.